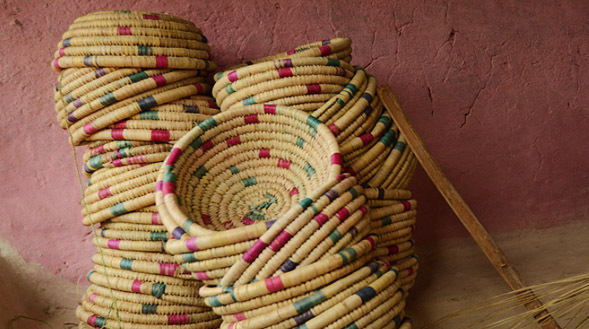 Wives weave beautiful grass baskets while their men hide behind the characters they wear, only to come out singing and dancing…like a plant sprouts out of the earth, in ways never heard before. Their sounds like the sound of the earth, their dancing like the moves of a bird. They sing the welcoming song to invite us in their house, while we sit around their mud-clad, simple but beautiful courtyard, engulfed by the depth of their voices and eyes equally. There are places where guests are treated like Gods. 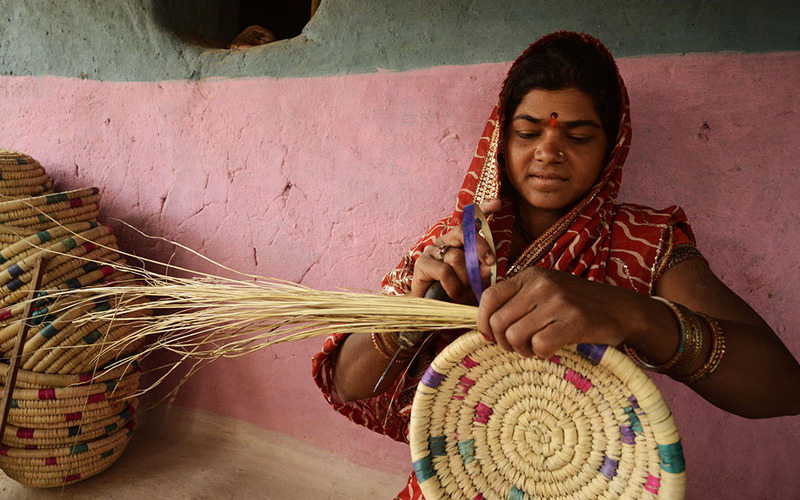 These sing song stories of great men and women from our history and mythology are taken to many surrounding districts by the men of this village (Ranidongri, Madhya Pradesh), seeking for their livelihood…while the women continue weaving in the compound.